The year is 2197. More than one hundred years have passed since the natural destruction of the Earth's surface. The surviving inhabitants are now living in Heavenly Cities high above the clouds with no intention of ever descending back to the unstable surface again. Helen is a lawyer who lives in one of those cities. Her life is almost perfect, but very soon she is going to find out that it was all just an illusion as her dreams scatter like leaves in the wind and the only thing left for her to return to will be her hometown. But on her way home, an almost fatal car accident on the heavenly highway turns her life in a drastically new direction. Helen finds herself crashing down onto the earth's destructive surface and landing in a forest world that is completely alien to her with a million and one questions and very few answers. The number 1 question being - is it really true what the government told her and the surviving population that no one ever survived down on Earth? Well, what if the truth was the complete opposite? What if there really were survivors? At a very young age, he started reading and loved it because, through books, he traveled to places he could never visit in person. As a child, he loved fairy tales and adventure but later discovered other genres. When he found a Jules Verne book in the library, he became fascinated by science fiction. 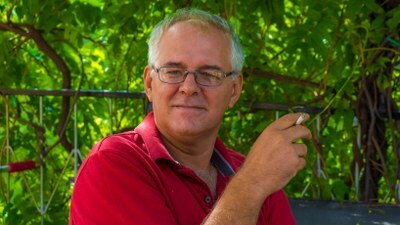 He has been writing poetry for fifteen years and has started writing science fiction. Lately, he has also written children's fairy tales and fables. He has published, in Croatia, "An Opened Heart" in 2002, "The Sleepy Way" in 2005, and "Love" in 2006. On Amazon he has published the poetry collections "The Child of Happiness" in 2015, science fiction novel "Godeena" in 2015, the science fiction short story "Butterfly" in 2016, the poetry collection "When the moon takes over the dream: Love Poetry" in 2016, and in 2017 the poetry collection "The Flaming Horses: Collection of poetry". 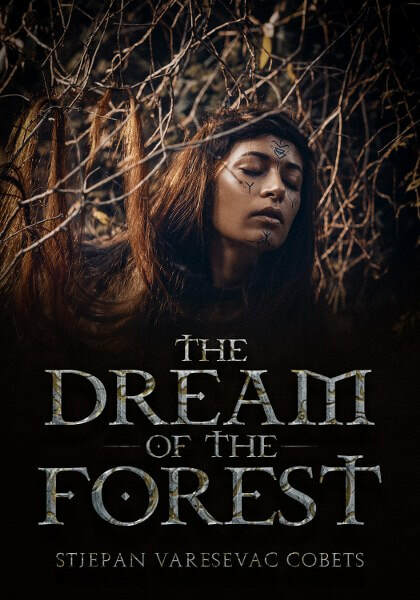 He also translated his new Sci-Fi novel "The Dream of the Forest". I don't have any questions, but I do love the cover - the closed eyes and the symbols amidst what looks like brambles is just awesome, it's very well done!